ఉన్నత పాఠశాలలో బోధనేతర సిబ్బంది లేనప్పుడు వేసవి సెలవుల్లో SSC అడ్వాన్సుడ్ సప్లిమెంటరీ పరీక్షల విధులను ఎవరికి అప్పగించాలి ? Rc.No.132/E1-1/2008, Dated: 14-05-2014 ప్రకారం బోధనేతర సిబ్బంది లేనప్పుడు వేసవి సెలవుల్లో భాద్యతను ఆ ఉన్నత పాఠశాలలోని సీనియర్ ఉపాధ్యాయుడికి అప్పగించాలి. 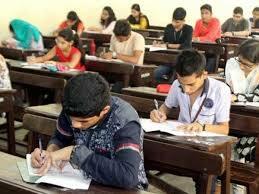 School Education - Conduct of SSC Advanced Supplementary Examinations, May/June 2014 - Instructions issued to all the Heads of Schools including Clerical staff and Office Sub-ordinates to be present during Summer Vacation - Reg. Re:- Lr.Rc.No.87/B-2/2014, Dated: 19-04-2014 from the DGE., Hyderabad. ii) To receive fail memos of the failed candidates. Therefore, all the District Educational Officer in the state are requested to issue necessary instructions. with one Non-Teaching Staff including Office Sub-ordinate personnel from availing summer vacation, with effect from the date of release of results of SSC March 2014 to till re-opening of Schools. 2. Obtain the names of personnel who are requesting for prevention and issue specific orders of prevention of summer vacation as per need. 3. Earned Leave may be preserved for all those employees who are prevented from availing summer vacation as per leave rules. Further, they are requested to entrust the SSC Advanced Supplementary Examinations work to a senior teaching staff of the school where there is no sanctioned clerical post or if the post is vacant. This has the approval of the Commissioner and Director of School Education, A.P., Hyderabad.